If you are needing to move large items, Avis offers affordable and spacious cargo van rental services to their customers. Many customers rent these moving vans for relocating items from their home, storage units, office, setting up booths and holding company events. You can call into one of Avis’s many call centers to make a reservation or you can book one right online. They have a location just about everywhere for anyone looking for a rental in over 150 countries worldwide. If you have a coupon or discount number, the code can be entered and it will calculate your rates and benefits right away. Typically, Avis rental rates will include either unlimited mileage to their customers or a pre-designated rate structure. If you go over mileage on the pre-designated rate structure, you will be charged for each and every mile that you go over. Avis also offers a wide variety of vehicles with many popular makes and models. The signature series such as the BMW 740 and the Cadillac XTS are very comfortable and you will be riding in style to your next business meeting or vacation. Avis has anything to fit your needs, you can also select from compact, standard, intermediate, subcompact and full size vehicle options. All of the rental cars, trucks, and vans have an automatic transmission and they are 100% smoke-free. If you are traveling and looking for a one-way rental, Avis will allow you to pick up your rental at one location and drop it off at another for your convenience. Usually, you can get a one-way rental for 4 hours and it is only $19.99. You can view their daily deals online and use their discounts offered that day. Deals can be sent right to your email by signing up online to save on travel, rentals, and hotels. Many customers take advantage of this great service. Avis allows small and mid-sized businesses to join their Corporate Awards Program for free. The application only takes a couple of minutes to fill out and you will be given and Avis worldwide discount number. You will start earning right away and have access to special billing options, reward days, members only deals and so much more. Cargo Vans are used to move large furniture and your possessions to your new home, office, storage units or even from a shop. Cargo vans are ideal because they are in between the size of a car and a big moving truck, easy to maneuver. They can be rented to move things for events like parties, weddings, to set up booths, hold your company’s events etc. These vans are two seaters mostly and they are so convenient and large enough to move cargo. You can rent these cargo vans at Avis Cargo Van Rentals. The rental rates are competitive. 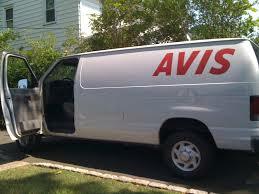 You can either go to Avis rental office, call them or even book a cargo van online. They charge around $40 per day and$.90 cents per mile. You also have the option to rent the van one-way. They charge approximately $20.00 for one-way four-hour rental. Cargo vans come in a lot of sizes. Avis has a wide variety of cargo vans depending on the make and size. There are two special types of rentals depending on your plans, they are the unlimited mileage and one way rental. If you are traveling long distance with this cargo van you might like of option of renting it one way. You can select a drop-off location at your destination. They only have selective drop-off locations. With this option of one-way rental, it is a good idea to look into a bigger rental brand like Avis because they have the largest number of dealerships. If you are traveling a long distance, unlimited mileage is the best way to go. You will have to pay only the regular rent per day. There are three different types of cargo vans. They have full-size cargo vans that has a lot of room in the back and have two seats in the front. They have a panel van that doesn’t have windows in the back. It is used to haul cargo. The third one is a passenger van, that can seat 12 passengers or 15 passengers. It is used only to transport people not cargo. Renting a cargo van is often a big money-saver on moving expenses. Before you go and rent a cargo van for moving, first take a test ride and check your comfortability of driving it long distance. Secondly, check then sizes that cargo vans come so you can decide which size van can accommodate all your possessions instead of multiple trips which that will cost you.